Filing an insurance claim may not have been on your To Do list, but if you do end up having to do it, ideally you want as few hiccups as possible. 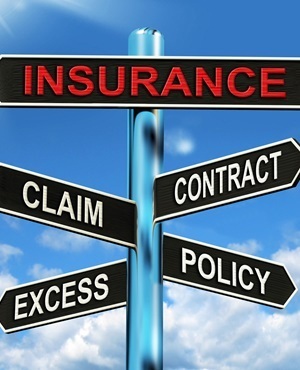 Nthabiseng Moloi, MiWay Insurance Head of Marketing and Brand, gave Fin24 insight into some of the more commonly asked questions about insurance claims. I installed a vehicle tracker, so why was my claim rejected on the basis that my car did not meet security requirements? Not all tracking devices are created equal, says Moloi. Certain insurers may insist on specific models, given the variance in functionality. Whereas some track speed, others are optimised to detect impact and others can locate the vehicle. Ensure that your tracking device is always in working order and that it meets the requirements outlined in your specific insurance contract. Why has my contract been cancelled due to multiple claims? An insurance contract puts the onus on both parties to fulfill their end of the bargain, with monthly premiums devised to cover the identified level of risk. Multiple claims suggest to the insurer that the level of risk outweighs the feasibility of the contract, which in selected cases can lead to the cancellation of a policy. READ: Who will protect housing consumers now? Why has my contract been cancelled due to non-disclosure? In some cases claimants have either given false information with regards to the nature of their loss, or made false statements upfront so as to lower their monthly premiums. Policy cancellation is not something insurers take lightly, but in instances where claimants have been found not to have disclosed vital information or have submitted fraudulent claims, they can cancel a policy, says Moloi. What is a regular driver? In most cases, vehicles are only insured conditionally based on who is driving the car. So for instance, should it be insured to cover a driver over 35, who primarily uses it to get to and from work, the level of risk would be significantly different to that of a 19 year old. There is scope for cover in cases where the car has been loaned to someone other than the regular driver, but if it is found that the car has in fact been driven more often by someone else, the insurance contract can be rendered null and void. If you have a car often driven by multiple drivers, make provision for this in your policy at the outset. Why am I not being paid the settlement amount I was insured for? The insurer's duty is to place the insured in the same position in which they would have been prior to an accident or theft. Therefore, says Moloi, policies seldom provide cover for the purchase price of an insured vehicle, given the depreciation in value. Cars are insured rather for their retail, market or trade values. • ‘Trade’ is the price a dealer will pay for your car. Why are parts being replaced with second-hand versions? The onus is on the insurer to replace and restore an insured item to the same position it was prior to a loss, says Moloi. So, should the insured opt to claim for the replacement of a 5-year old engine, the insurer may settle with a fully-functional second hand engine, provided it is of similar quality. Why were my extras excluded in my settlement amount? Additional features like mag wheels, music systems and sun roofs must be specified when taking out the insurance policy, as this increases the value of the vehicle, and in turn, affects monthly premiums. Should you not specifically list these extras, your vehicle will only be insured based on its original form and value, which means any add-ons will not be replaced when it is time to claim. Why do you settle with the bank when a financed vehicle is written off? If your vehicle is currently financed, it is technically still owned by the bank, despite you being the insured party. Any claim submitted to insurance must be validated and thoroughly investigated, to ensure that the loss took place within the bounds of the policy. So for instance, you might have been burgled without having activated your alarm system, something that could potentially invalidate your claim if this was a condition stipulated in the initial terms of your contract.